Psychology is the scientific study of mind and behaviour, but how can we study something as complex and mysterious as the mind? The things psychologists are interested in are not objectively measurable; they’re intangible concepts like thoughts, emotions, memories, and perceptions. In fact, we adopt an approach which is similar to other types of science facing similar challenges. Just like a psychologist cannot see your mind, a physicist cannot see atoms. Research in physics is based on a principle of predicting how something should behave based on a theory, and devising experiments to test whether that prediction is correct. Similarly, psychologists use behaviour as a clue to the functioning of the mind. Just like a physicist, we formulate theories, test hypotheses and predictions through studies, and analyse the findings with statistics and other techniques to enable us to draw conclusions, using behaviour as an indicator of the workings of the mind. What all these different approaches to psychology have in common is a desire to explain the mind and behaviour through applying a scientific approach tor research. In this way, research skills are at the heart of everything we do. 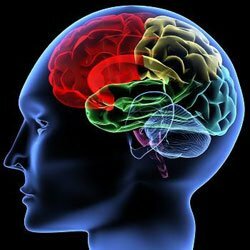 An undergraduate degree in psychology covers all of the basic branches of psychology which you will need to go on to further study and specialist training within a specific area of the discipline. Thus, an undergraduate degree in psychology functions as a foundation for all knowledge, understanding and careers in psychology. Psychology is a multidisciplinary subject with a wide range of applications. To see what kind of places psychologists work, have a look at what you can do after your psychology degree or on the British Psychological Society (BPS) careers website. How do we think and learn? Why and how do people form relationships? What causes mental illness and how can it be treated? How do we measure personality? How can organisations improve their employees’ productivity? At Buckingham, we adopt a personalised teaching style built on creating outstanding working relationships between students and staff. All modules use a tutorial style of teaching, in which students are taught every week, on every module in groups of 7 or fewer, allowing for regular high quality contact time with your tutor. It is through this method that students can achieve excellence in their qualification in a supportive environment. You will work with tutors with wide-ranging expertise across research, consulting and applied settings. Additionally, our open door policy means staff are on hand to answer your questions and provide assistance when you need us. Both our single honours psychology and psychology major degrees are accredited by the British Psychological Society, meaning our graduates are eligible for Graduate Basis for Chartership (GBC) and can go on to further training and careers in psychology. Find out more about why taking an accredited degree is so important.